Caterpillar Inc. announced Thursday that it plans to cut its workforce by more than 10,000 people by 2018. The Peoria-based company said it plans to reduce its salaried and management workforce by between 4,000 and 5,000 people by the end of 2016, with most of the layoffs occurring in 2015. In addition, the company plans to layoff more than 10,000 people by 2018. “We recognize today’s news and actions taken in recent years are difficult for our employees, their families and the communities where we’re located. We have a talented and dedicated workforce, and we know this will be hard for them,” Doug Oberhelman, Caterpillar Chairman and CEO, said in a statement. The layoffs were part of a “restructuring and cost reduction” plan aiming to lower operating costs by about $1.5 billion annually. The company said it plans to offer a voluntary retirement enhancement program for some employees, which will be completed by the end of 2015. 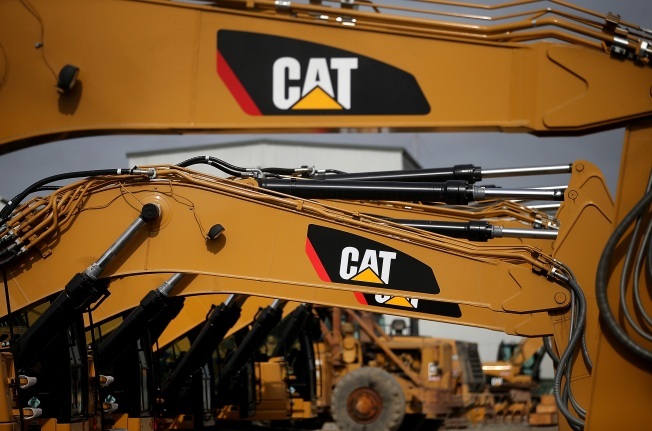 This year marked the third consecutive year Caterpillar went down in sales and revenues and 2016 would mark the first in the company's 90-year history that sales and revenues have decreased four years in a row. Since 2013, the construction and mining equipment maker has closed or announced plans to close or consolidate more than 20 facilities, impacting 8 million square feet of manufacturing space. The company has also reduced its total workforce by more than 31,000 since mid-2012.